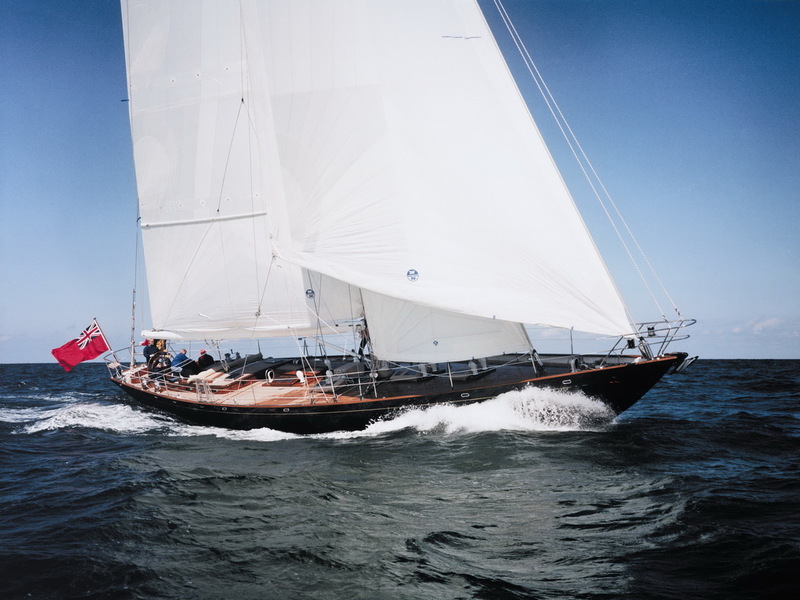 Luxury sailing yacht COPIHUE, named after the Chilean national flower, was designed by naval architects Hoek Design and built by Claassen Jachtbouw shipyard of Holland in 1997. 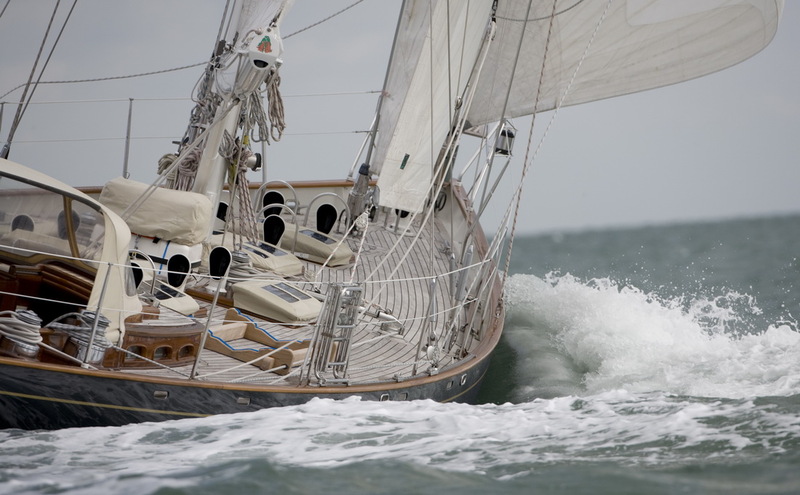 She underwent a refit in 2008 and received a complete new rig in 2011. 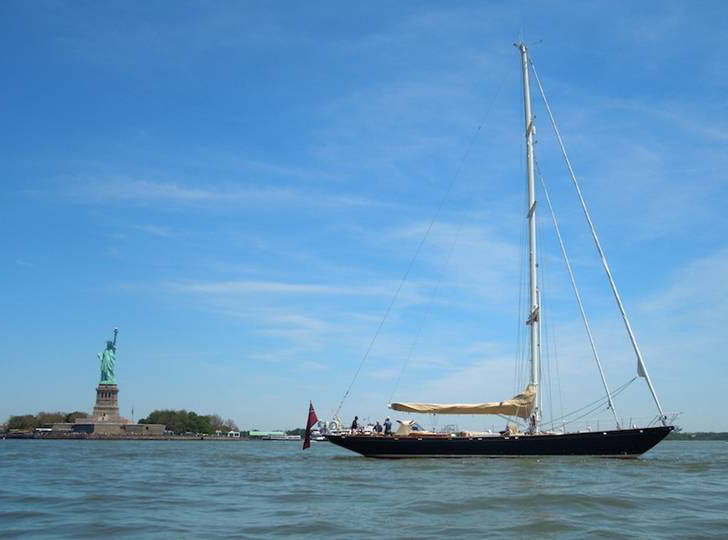 The yacht measures 22.8m (74.7ft). S/Y COPIHUE can accommodate up to 7 charter guests in 4 cabins, she is available in the South of France with a dedicated professional crew of 3. 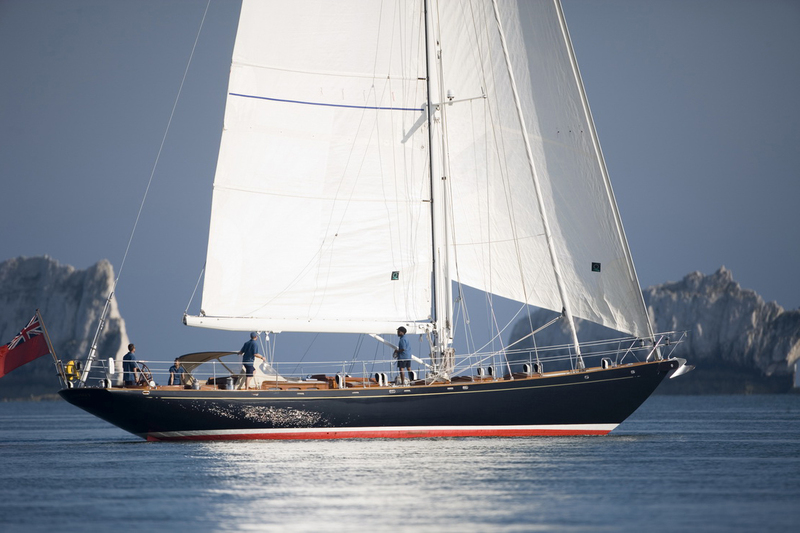 Charter yacht COPIHUE boasts elegance and grace both on her exterior with a classic sailing yachts impressive sweeping lines, to her spacious and nautical themed interior. The yacht COPIHUE features a light and airy interior with fine teak panels, teak and holly floors and beautiful Oregon pine deck head throughout. 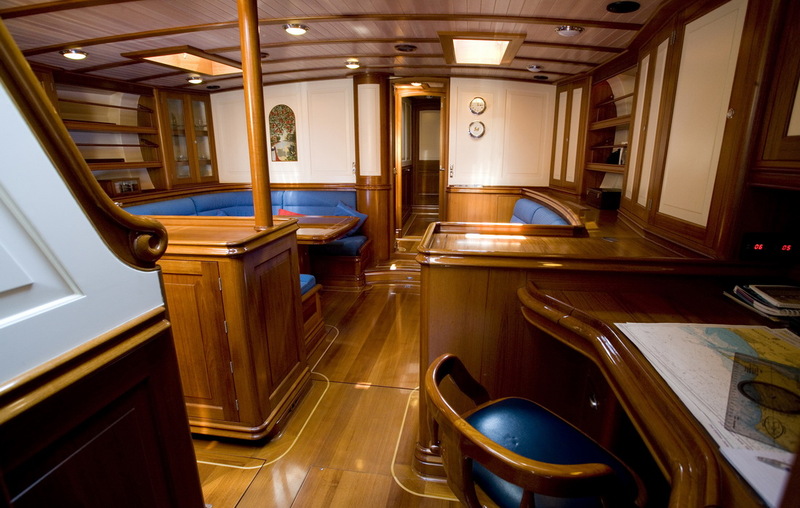 The salon and dining are an open plan, featuring 2 sofas, a formal dining table, large galley and navigation station. Forward of the salon are 2 twin cabins with shared facilities, the master cabin is aft of the salon with a double bed and en-suite facilities. A further single pilot berth is aft of the salon on the starboard side. 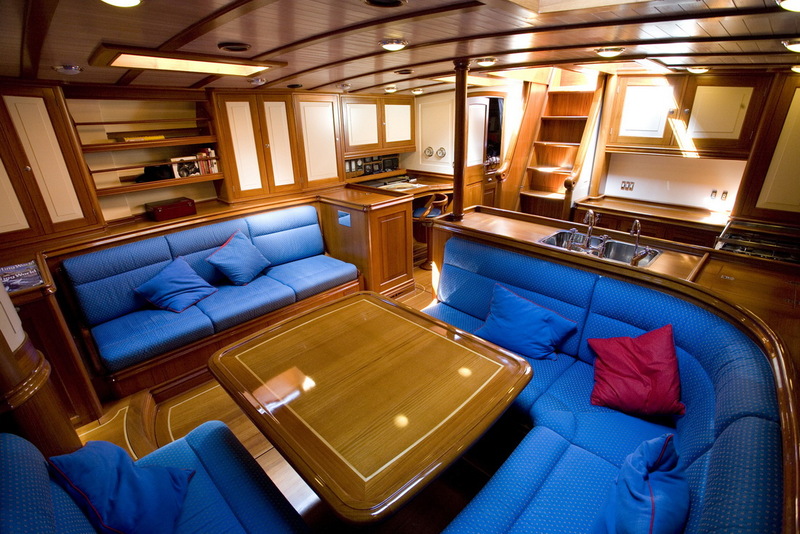 Above decks, guests will find there are ample areas to relax and enjoy aboard the yacht COPIHUE. 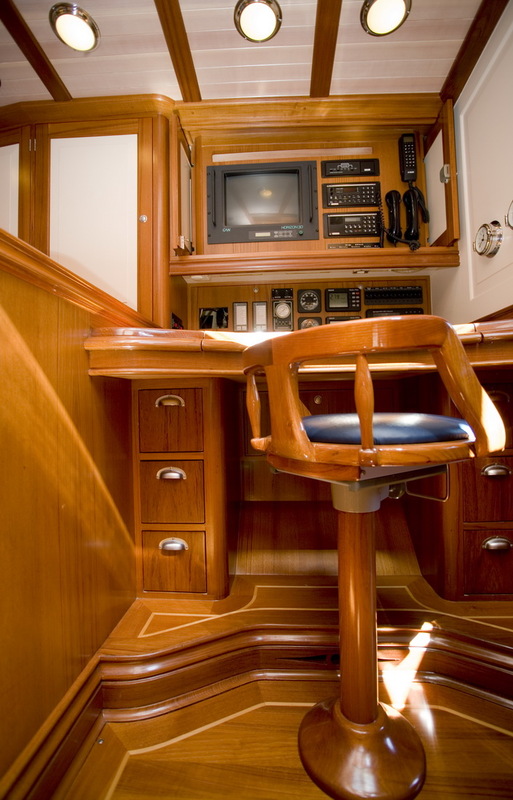 The salon companionway leads up into the guest cockpit and alfresco dining option, further aft the helm station is separate. 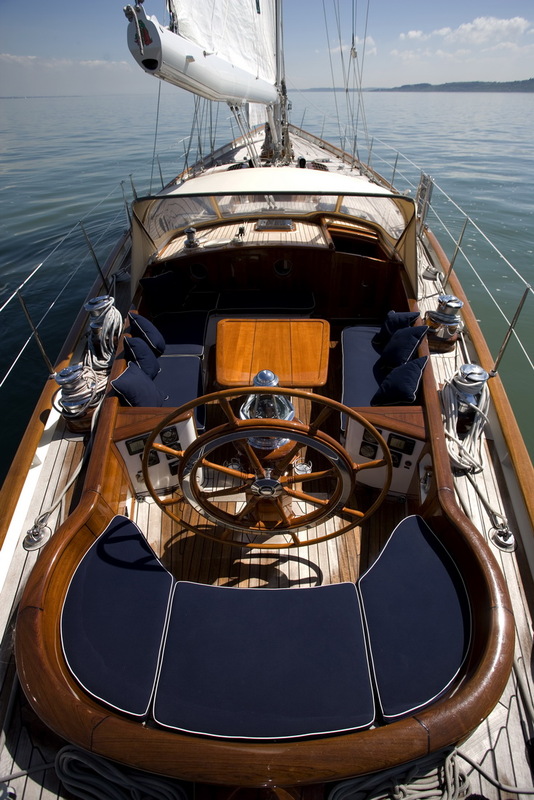 Thanks to the superb teak decks being flush, there is plenty of sunning and lounging space. 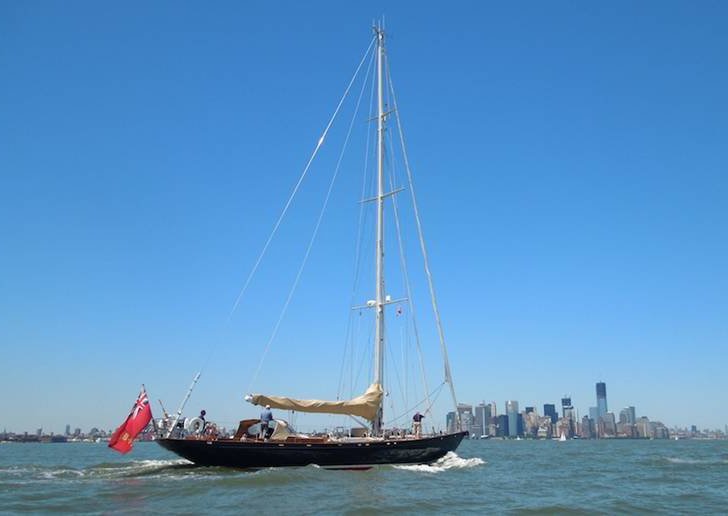 Sailing yacht COPIHUE has a beam of 5.4m (17.7ft) and a draft of 3m (9.8ft), she is powered by 1 CAT 208hp engine when not under sail. 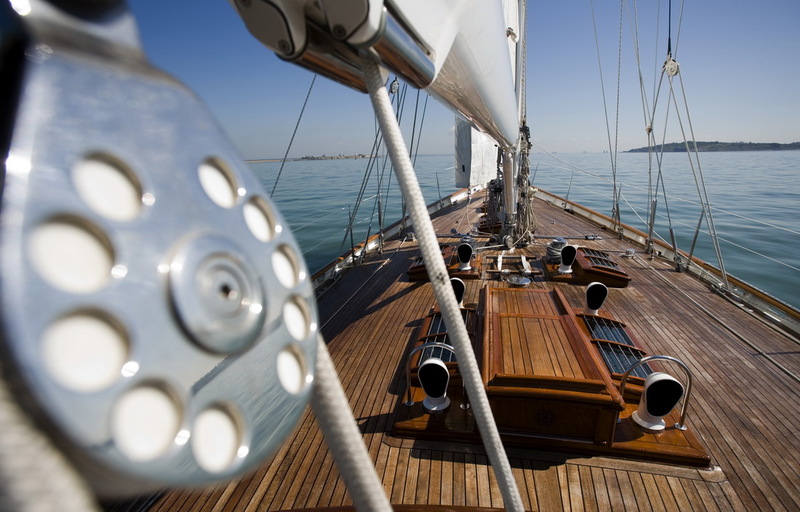 The classic styled aluminum yacht flies 265m squared of canvas sail area, cruising with ease at around 8 knots. Luxury charter yacht COPIHUE offers accommodation for up to 7 charter guests in 4 cabins. The master suite is full beam of the yacht aft with a double bed and en-suite facilities. 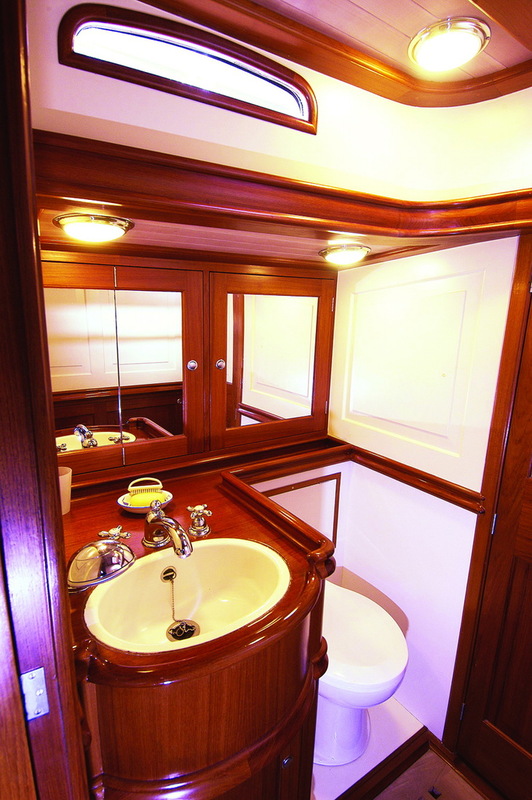 Starboard and forward of the master is a single pilot berth, forward of the salon a further 2 twin cabin have upper and lowers beds and shared facilities.